2018 Solar Eclipse maps and data courtesy of Fred Espenak and Jean Meeus, “Five Millennium Catalog of Solar Eclipses: -1999 to +3000” (NASA/TP-2008-214170). 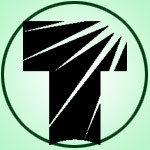 Green lines denote limits of visibility. Key to Solar Eclipse Figures. The northern hemisphere will get its partial eclipse on August 11th. Event visibility will be from extreme northern Canada, over the pole, northern Europe, and down across Asia just missing India and Japan (diagram below). Two total lunar eclipses will be visible this year. The first will be at the end of the month on January 31st. The phase of the eclipse showing the Earth’s Umbra (darkest shadow) will be visible from the mid-west to western parts of the US (the Moon sets on the East Coast as things get interesting). The story is similar for Canada and Mexico: the western regions will be getting more of a show. In the eastern hemisphere the event will be visible throughout the Pacific to eastern China. The second lunar eclipse of this year happens on July 27th. North America will be almost completely left out of the show for this one. Most of the rest of the planet, save for Siberia and the northern pole, will see all or at least the central, umbral, part of the eclipse. 2018 Lunar Eclipse maps and data courtesy of Fred Espenak and Jean Meeus, “Five Millennium Catalog of Lunar Eclipses: -1999 to +3000” (NASA/TP-2009-214173). Dark areas see nothing, and shaded areas will see part of the event. 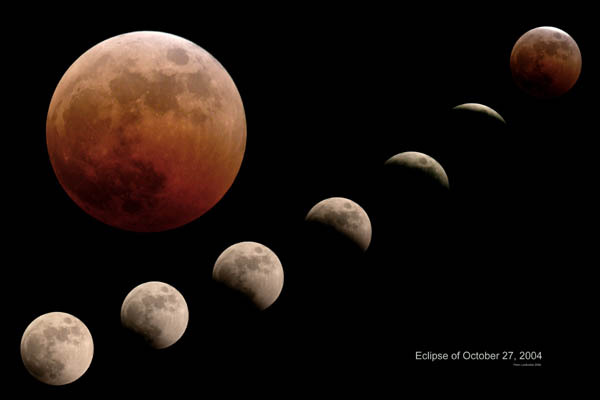 See Key to Lunar Eclipse Figures. Simulated Micro and Super Moons. (Full Moons furthest and nearest the earth). 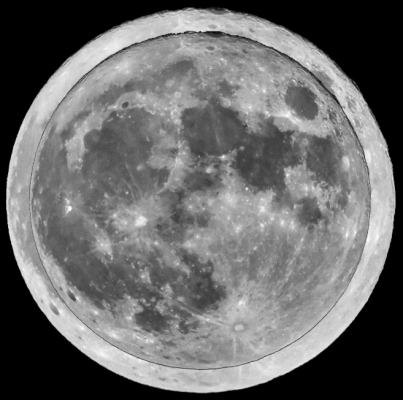 Super Moon is 14% greater in diameter than Micro. Simulated image created from Paul Cyr’s NP101is image of Nov 2016 Super Moon. The aforementioned January 31st lunar eclipse is extra special because mid-eclipse (full moon) occurs about 30-hours after the moon’s closest approach to earth (Perigee). Hence this eclipse will happen during a supermoon. It will also be the second full-moon of the month — colloquially referred to as a blue moon. But wait, there’s more: they’ll be second blue moon on March 31st. A double blue moon in the same year won’t happen again until 2037! Conversely, on July 27th, the full moon will be a micromoon: smaller than unusual due to reaching its furthest distance from earth (apogee) less than 15-hours before becoming full. Imaging the supermoons and micromoons with the same equipment and exposure and then compositing them together is a neat little science project you can try. See our Night of the Micromoon blog post for more background. If you miss this opportunity, there won’t be a second micromoon this year to image. 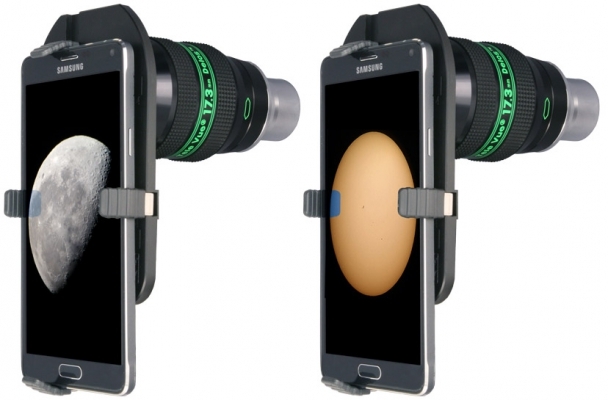 An easy entry into solar, lunar, and eclipse imaging with your telescope is by using your smartphone with our FoneMate™ smartphone adapter. (You’ll also need a proper filter if doing solar imaging). Smartphones as big as the Galaxy Note 4 (shown) can be fitted to the FoneMate™ for imaging through select Tele Vue eyepieces. Sol-Searcher makes it easy to find the sun. The front aperture acts as a “pinhole” which projects an image of the Sun on to the translucent “screen.” This screen can be viewed from either side. 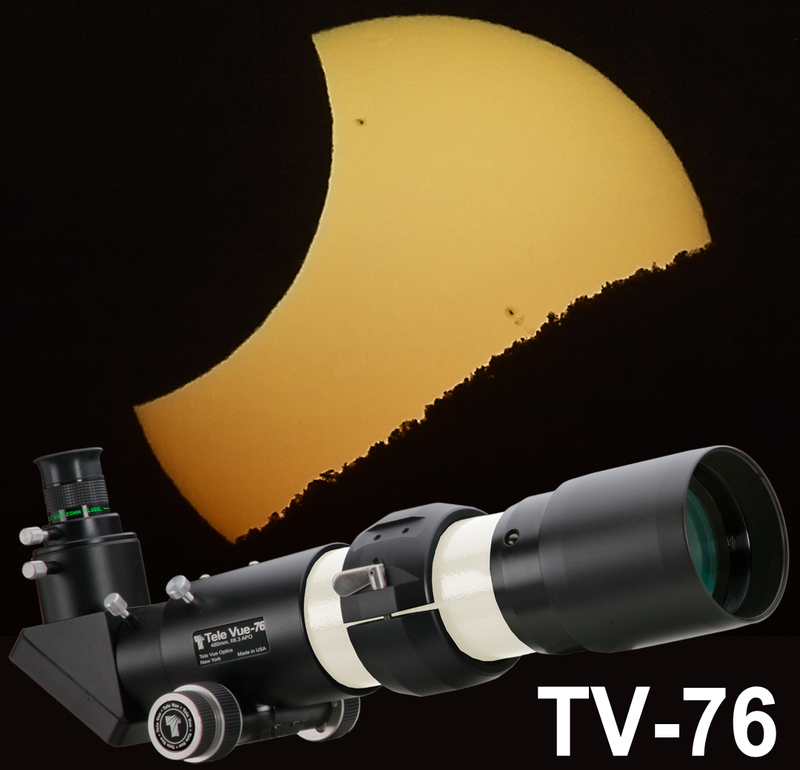 Simply move your scope until the Sun’s image is centered on the screen. 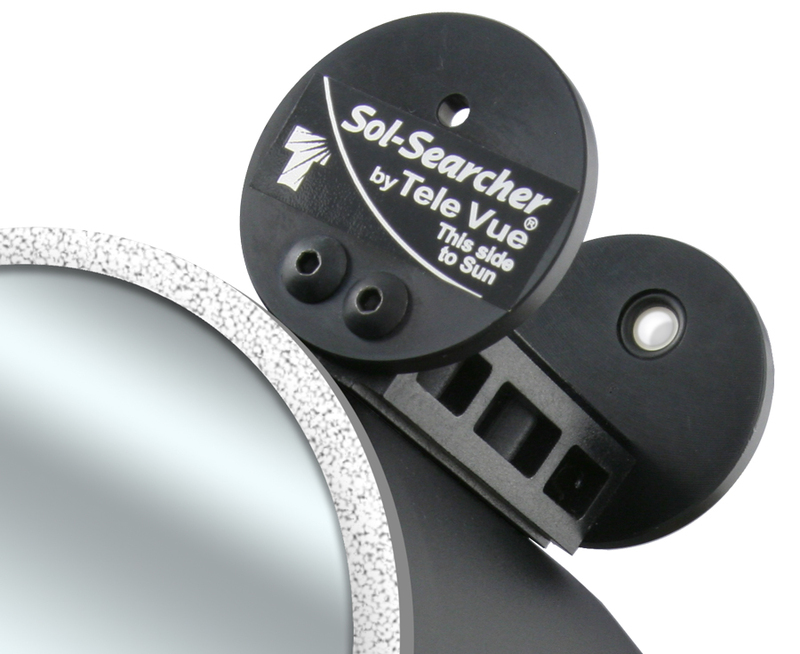 The Sol-Searcher attaches to the mount ring slot of every Tele Vue telescope (or to the rear cell slot in the Tele Vue Ranger). For use with telescopes other than Tele Vue, mount the Sol-Searcher using #10-32 screws, or if necessary, attach with Velcro (not supplied). You’ll be able to touch and feel all our eyepieces, Powermates, scopes, mounts, and accessories at the yearly spring NEAF show in NY. Next Next post: Why be an Amateur Astronomer?